Harrisburg, PA – Governor Tom Wolf today announced that nearly $1.3 million has been made available to 13 institutions and organizations across the commonwealth, including Penn State University, Rodale Institute, the University of Pennsylvania’s School of Veterinary Medicine, Temple University, and others to conduct research on important issues affecting the future vitality of the state’s agriculture industry. The grants, provided by the Pennsylvania Department of Agriculture (PDA), focus on research topics including education, urban agriculture, organic food production, new methods and technologies for cost-effectively reducing nutrient loads to Pennsylvania’s waterways, animal health, the efficacy of various avian vaccinations, and invasive species management. The department will also offer micro-grants to projects focused on the development of micro-credentials or badges that teach specific workforce development skills, solutions to practical problems of hydroponic and aquaponic operations, and remedies to challenges common in urban agricultural operations. Over the past three years, the Wolf Administration has invested more than $50 million in agriculture-related economic development projects; increased support for workforce development and agricultural education to help prepare students and workers for 75,000 anticipated job openings in the industry over the next decade; and increased funding for farmland preservation by 45 percent. 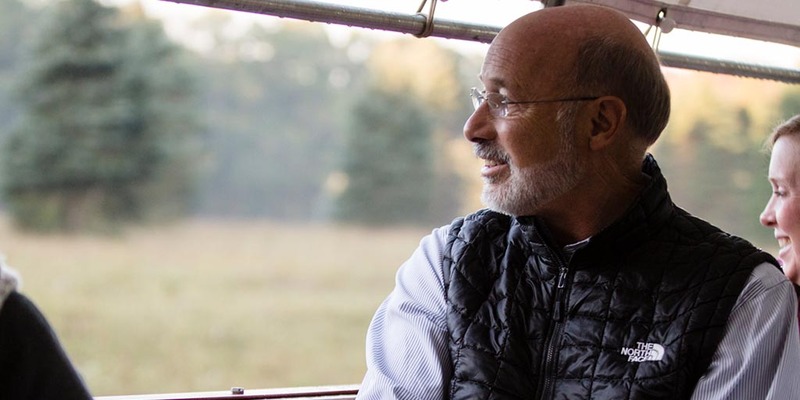 The administration has also begun work to expand broadband access to hundreds of thousands of Pennsylvanians, including more than half a million residents living in rural communities. For more information about the Pennsylvania Department of Agriculture’s programs and services, or to read the state’s Agriculture Economic Impact Study, visit the Department’s website at www.agriculture.pa.gov. A list of grantees follows.